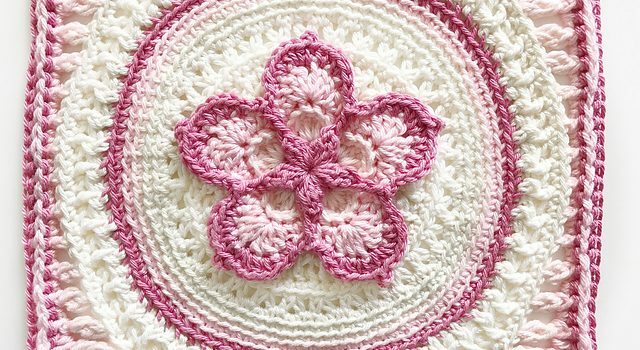 Suitable for adventurous beginners to intermediate crocheters, this 5 petals flower square is so artful, it deserves to be framed. 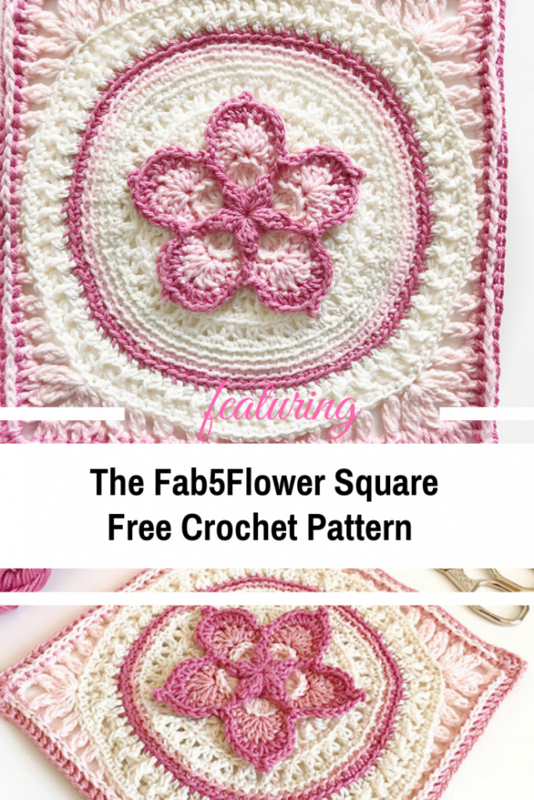 The Fab5Flower Square free crochet pattern by Joy Clements is a detailed and beautifully textured granny square pattern with a vintage feel and look. The beautiful flower in the center of the granny square is so simple and it looks amazing in all color combinations. This pattern is very versatile and and can be made using any yarn you would normally use for a granny square, with the corresponding hook size. This pattern should work with any yarn weight of your choice. Hook: 3.25 mm or whatever size you would normally use with the yarn you choose. Thanks to Joy Clements for the article inspiration and featured image. [Free Pattern] This Little Shell Ripple Afghan Is Really Stunning!